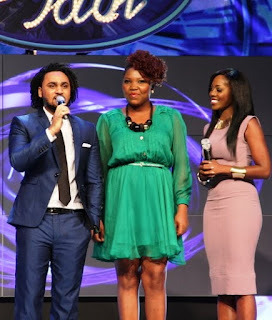 Last weekend, Nigeria’s biggest music reality show Nigerian Idol gave audiences and fans the times of their lives as they presented the wild card show that determines the last set of three finalists to make it into the finals of the show. 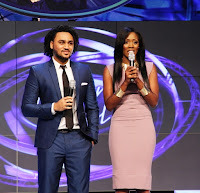 Joining the judges table last weekend was none other than Nigeria’s first lady of rap Sasha P. The show presented nine contestants handpicked by the judges from the top 30 contestants to take another chance at the Nigerian Idol finals. Soon it was impromptu duet time again as a Yinka Davies favourite, Stephen Onochie performed Peabo Bryson’s duet ‘Celebrate my love’ with the star judge. 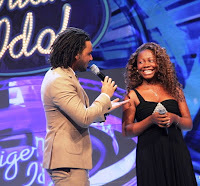 Sophyn also got a duet with Yinka as she sang Diana Ross’s ‘Endless Love’. The audience’s applause was deafening as they acknowledged the spectacular music coming from the Idol stage and the judge’s table. Sly 1 ended the performances with an R&B tinged version of Jimmy Cliff’s ‘I can see clearly’.